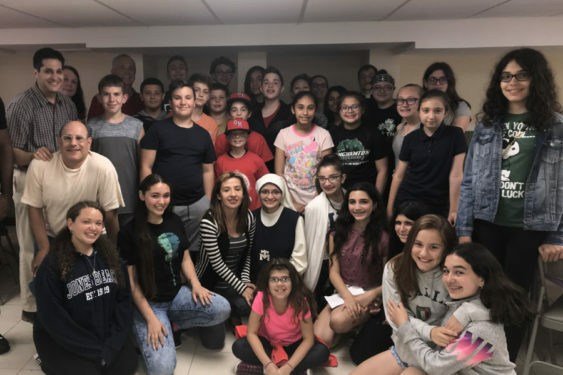 Our Lady of Grace Youth Group (OLG) in Howard Beach wrapped up its second year with a special presentation. The theme was “You are Worthy” based upon Chapter 5 in the Book of Revelations. Giving the main talk was Youth Minister Sister Heidi Delgadillo, P.C.M. from St. Joseph Co-Cathedral, Prospect Heights. The format was unique. It was crafted entirely by Sister Heidi and OLG’s Youth Ministry coordinator as part of a recent diocesan Youth Ministry Initiative class. 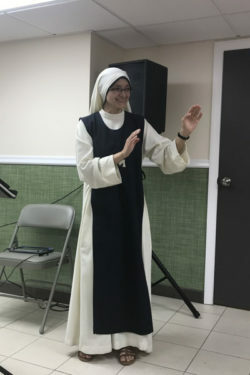 Sister Heidi told her story of being a child who often found herself in trouble, as well as struggling with her relationship with her father whom she adored until he abruptly walked out on her family. She eventually reconciled with him and through that experience grew her vocation to be a sister as she felt God’s love for her grow stronger and stronger. The evening concluded with each attendee writing and sealing scrolls that listed the things that make them feel unworthy, so that Jesus can help them to conquer those challenges. After the scrolls were sealed, they were burned to symbolize that the conversation was meant to be between the teens and Jesus. 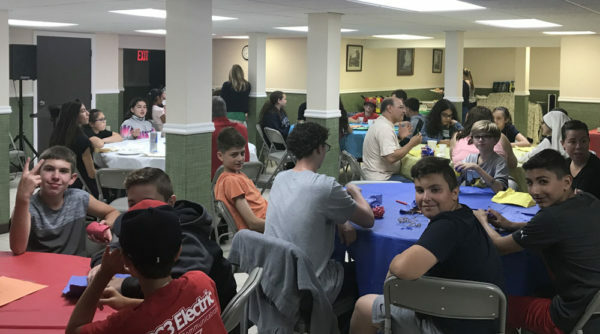 The evening also included dinner and discussion about how the songs of the pop group Imagine Dragons have spiritual messages that can help young people recognize how they are all worthy of God’s love, no matter what happens in life.